Sometimes we pre-judge products before we review them. Mostly we get it right, I mean we've been doing this a long time now. This one I suspected was similar to the Quorn Sausages - interesting only if you are desperate for something that looks like a sausage, but is completely different. I was wrong. I mainly complained that a Quorn sausage has a far too consistent texture, and lacks the small pockets of fat and spice that make the cooking and eating experience what it is. 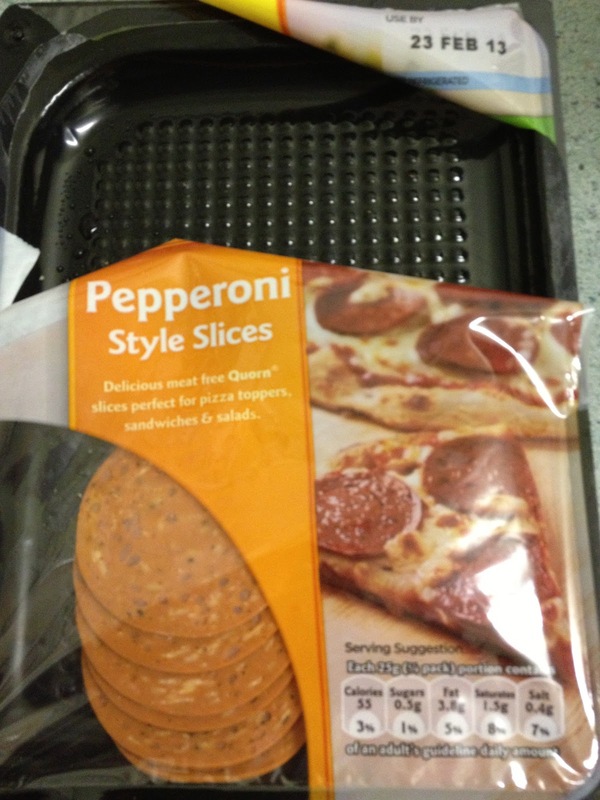 As these are smaller slices not only are they able to infuse the Quorn with other things to make it look like a sausage these actually react in a similar way and it works. As my partner refused to partake in these (as they really do smell like the real thing too) I had two portions and have had the first one with pasta. While you could tell that it wasn't a normal meat slice the similarities were much closer than ever. The flavours were rich and spicy and the heat caused similar reactions to how it normally reacts. 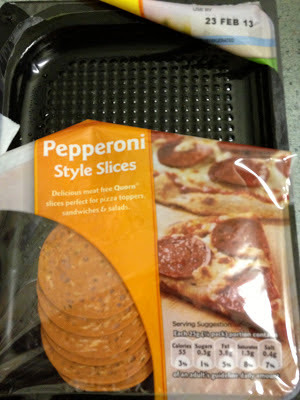 I have saved the second half to use on a pizza for the ultimate test, but keep forgetting to add them on. In short, these are great for people who want to eat less meat but not miss out on the deli counter, but terrible for people who dislike the tastes and smells of meat. I plan to buy more. Really interesting as I would have prejudged these before reading this!